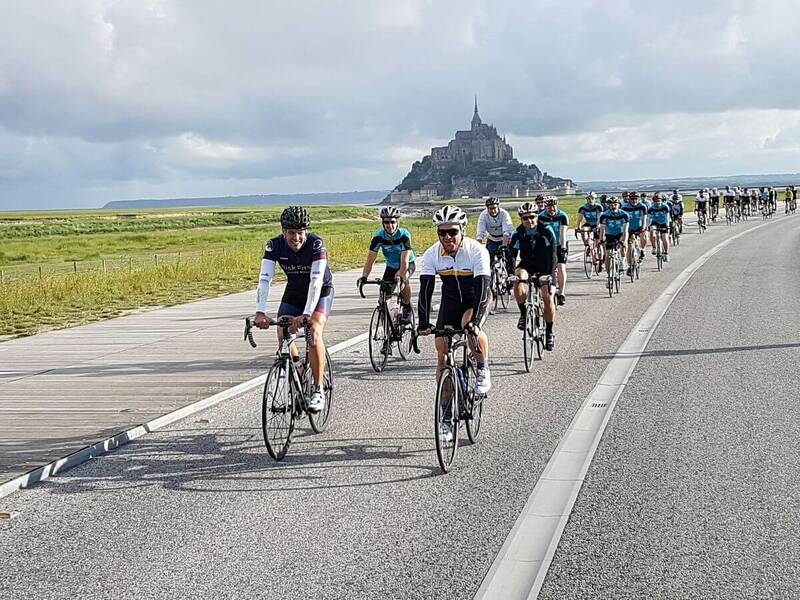 Departing from the iconic Mont St Michel, the 2016 tour was dominated by the first week – the longest and highest stages for a first week of the tour in memory. With some long transfers between stages too, those who took on the first half of the tour proved themselves to be real heroes. This was tough … really tough! But it was also beautiful, and character building, and humbling, and just the challenge that our riders were looking for. By the time we reached the Pyrenees we’d experienced all that is usually thrown at us during all 3 weeks of the tour, and we were still riding. Our first stages into the wild and savage Pyrenees cheated us of the views, but by the time we reached Andorra it was steaming hot and the llamas in the mist on Tourmalet seemed a bizarre dream. On through the heat of the South and Mont Ventoux – the bald mountain – was a bucket list ‘tick’ for our riders (unlike the pros who stopped short with dangerous winds on the top reminding us why her name is so appropriate!). On into Switzerland and the Alps – a tough, wet and cold stage 17 was followed by the very best that the Alps have to offer – glorious stages to be savoured by all as we gradually pedaled closer to Paris. Visited by 2 young people from charities supported by WWMT and our riders, we were reminded that the Tour is bigger than any of us. Both Johnny and Tyrese did us and themselves proud while on tour and we are so pleased to be able to offer this opportunity to both them and our riders – a chance for everyone to understand each other better. 2016 sees in excess of £330,000 raised for the William Wates Memorial Trust, bringing us almost to the £3 million mark for funds raised by the Tour de Force event. 2017 will see us far exceed this enormous target and we cannot wait!